(CBS News) Clint Eastwood's surprise appearance at the Republican National Convention was exciting for fans, but has also attracted some likely unintentional, unwelcome attention. The 82-year-old legendary actor and director made an appearance at the RCN to support Republican presidential nominee Mitt Romney. 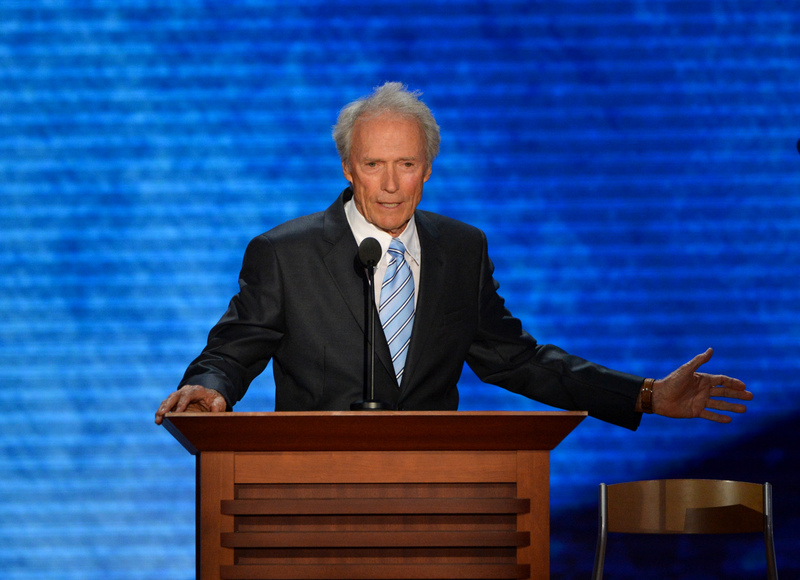 During a 10-minute improvised speech, Eastwood exchanged words an imaginary President Obama. According to online trend analytics site Topsy, Tweets with the words "Clint Eastwood" peaked at 57,507 tweets at 10:19 p.m. ET. "Still can't tell if Clint was hallucinating or President is really invisible now," actor Zach Braff joked on Twitter. "Woke up from nap. Checked twitter. Apparently, Clint Eastwood got into a fight with an empty chair while I was asleep? What a country!" actor Wil Wheaton tweeted. The President responded with his own tweet. "This seat's taken," tweeted @BarackObama, along with a photo of the President seated at the White House. Soon after the speech, CNET reported a brand new Twitter account created after Eastwood's speech, @InvisibleObama, reached 20,000 followers in less than an hour. The Twitter account heavily mocks Eastwood, Romney and other Republicans with tweets like, "Someone should tell Marco Rubio he's standing on my foot right now." Eastwood's speech also inspired an Internet photo meme that consists of empty chairs or people talking to empty chairs. By Friday morning, about 600 photos with the hashtag #Eastwooding appeared on Instagram. An Internet meme generally refers to an online trend that transcends into a pop culture phenomenon. While late-night talk show hosts and the Internet had plenty to talk about, not all of the sentiment toward Eastwood was negative. A handful of supporters applauded the actor for his participation at the RNC. "I loved watching Clint Eastwood last night--he was terrific!" American entrepreneur Donald Trump tweeted. "I thought Clint Eastwood's presence was electrifying and I praise him for being a Hollywood actor & taking a stand! Thanks Clint Eastwood!" actress Janine Turner tweeted. "He's a unique guy and he did a unique thing last night," Ann Romney said in an interview on CBS This Morning.